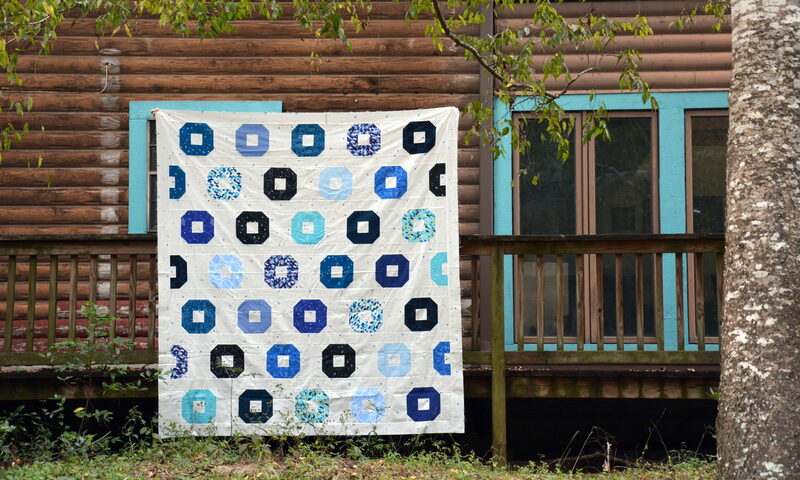 I finally finished my quilt! I’m really happy with the result. I like how the back isn’t only a solid this time. It’s all crinkly after going in the wash. The binding took a while to get on, but it looks great, even up close. It’s nice and soft like the rest of the quilt. All in all, I’m not too sure if I’ll work with triangles again (they were a bit fussy), but this quilt is much fluffier since it has less quilting on it than my last one. I can’t wait for winter to get here so that I can use it. Next up is a Christmas log cabin quilt for my mom for a combined birthday and Christmas present. We picked out fabrics from our stashes over the holiday weekend, and now I’m ready to cut into them and get started. Quilt Dad is running this quilt-along if you’re interested in joining.